This textbook is suitable for the following courses: International Finance (one semester). 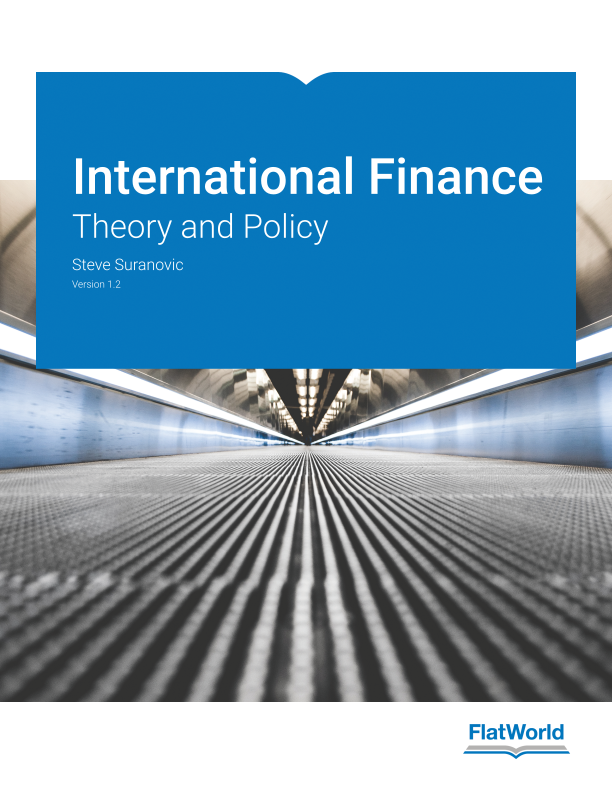 International Finance: Theory and Policy develops a unified model of the international macroeconomy for non-economic majors or students who are interested in continuing on to a Ph.D. program. Suranovic applies economic models to real-world issues to help students understand the international economy. Economic data updated to year 2015. Historical overview of the international macroeconomy to provide context for the theory. Concludes with a detailed discussion of the pros and cons of fixed and floating exchange rate systems. Provides an extensive look at the issue of trade imbalances. Applies the AA-DD model to understand the effects of monetary and fiscal policy on GDP, the exchange rate, and the trade balance.